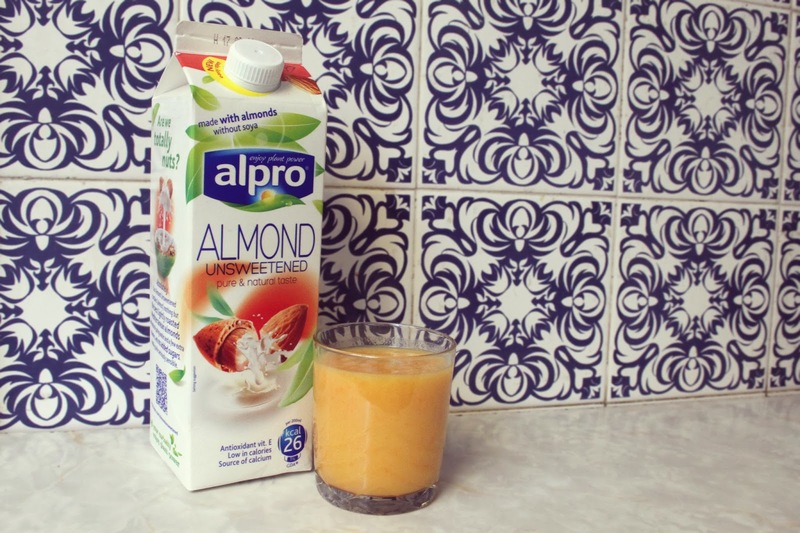 As you’ve probably seen on my Instagram for the past few days, I’ve been challenged by the lovely folks over at Alpro to fit a yummy smoothie into my mornings every day for seven days – The #AlproAM challenge, AM standing for ‘Almond Mornings’. The idea is to have a healthy start to each day to prepare yourself for the day ahead, and we all know how hard it is to drag ourselves out of bed and into the daily grind, especially in January, so a delicious, healthy breakfast makes it that little easier to bear. I’ve already done my first four days and I am happy to report that I have been thoroughly enjoying my morning boosts with the help of Alpro’s new Almond Unsweetened milk which has been the basis of each smoothie. As most of you are probably aware I’ve gone on a serious health kick lately, making really nutritious meals, cutting out a lot of the rubbish in my diet, and getting back into the gym. I’ve been really careful with my calorie intake (don’t worry – I’m not starving myself!) to ensure I’m getting just enough but not too much, so Alpro’s Almond Unsweetened is a really good addition to my diet with only 26 calories a serving. Usually I would put a nice big dollop of greek yogurt into a smoothie, but this is a much healthier alternative. Result! So as I said, I’m over half way through my seven days, so I thought I’d show you what I’ve made so far. I’ve tried to be as accurate as I can with the recipes, but to tell you the truth I just chuck whatever amount I want in and blitz it up – easy peasy lemon squeezy! I started my seven day stretch of smoothies on a Saturday, so thought I would pull out the big guns and do something a bit special as I had more time on my hands. Not only did I make a delicious banana and berry smoothie (so, so good!) 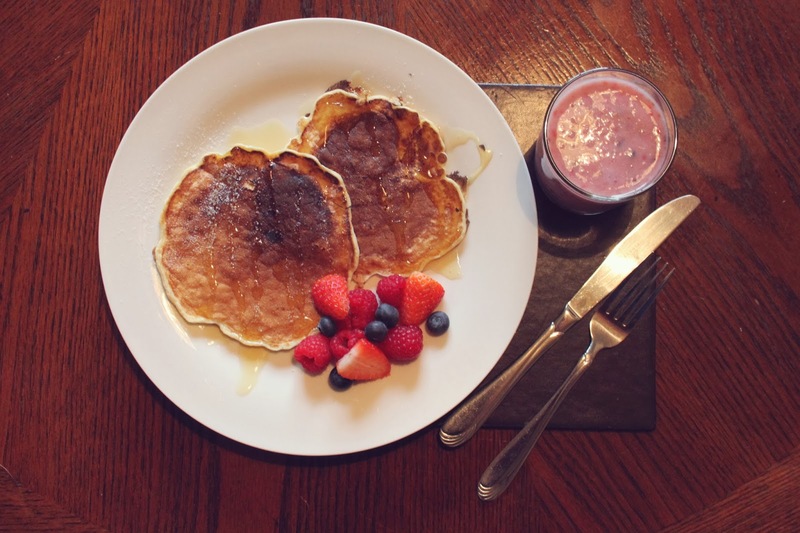 but I decided to rustle up my favourite pancakes that I made last time I worked alongside Alpro. You can find the recipe in the blog post I did here. I just substituted the hazelnut milk with Almond Unsweetened and they tasted amazing topped off with a drizzle of honey and a handful of berries. Perfect start to the weekend! Sunday mornings are all about hitting the gym nice and early for me, so when I got home I wanted something refreshing and tasty after all the hard work! I wanted to try out using vegetables in my smoothies, so I whizzed up a juicy mango with some finely grated carrot and a touch of fresh grated ginger and of course some Alpro Almond Unsweetened milk. This was so tasty, much nicer than I expected it to be! The only thing I would say is that next time I would juice the carrot, or even cook it first to soften it, as I wasn’t too keen on the grainy texture the raw carrot gave it. Other than that though, this one was delicious! I had another mango to use up from Sunday, so to kick start my week I blitzed that up with some of the almond milk and some more of my strawberries and raspberries for a simple but tasty smoothie. Mango, strawberry and raspberry are my three favourite fruits, so this one was a winner for me! This blended to a really nice, smooth texture and was a nice change to my usual boring Monday morning breakfasts! This is by far my favourite of the week so far! I wanted to create something a bit more traditional to breakfast time, and thought that it would be fun to use everyone’s favourite pick me up (except mine as I can’t have caffeine, boo!) in the morning was coffee! I added a teaspoon of coffee granules and a teaspoon of caramel coffee syrup to my almond milk and gave it a good stir to dissolve, then blitzed in a banana until it was rich and smooth. So simple yet so tasty! I lightly dusted the smoothie with some cinnamon and had it alongside a couple of breakfast biscuits for a tasty, filling start to the day. Over half way through the week now and so far, so good! I’m really enjoying creating something different each day and I’m looking forward to making some other tasty smoothies for the next few more! I’ll be posting my final three recipes on Friday, but of you can’t wait until then you can check out what I make each day on my Instagram and Pinterest pages! 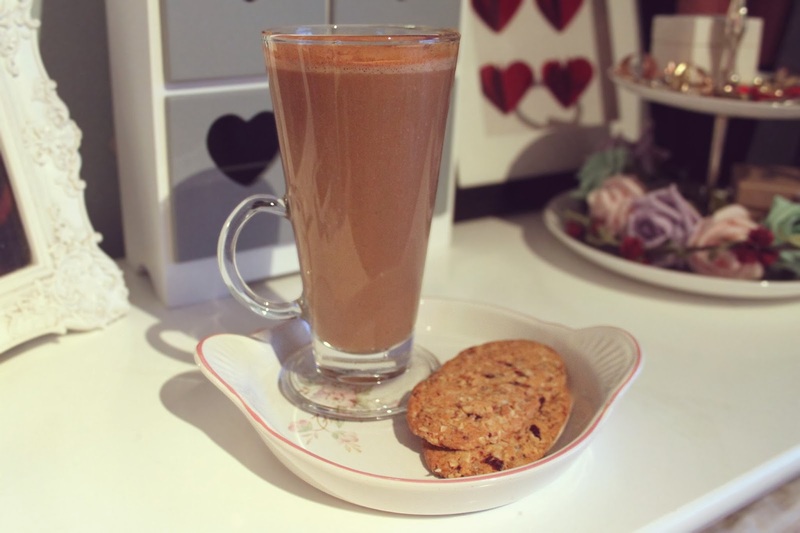 Have you tried Alpro Almond milk? 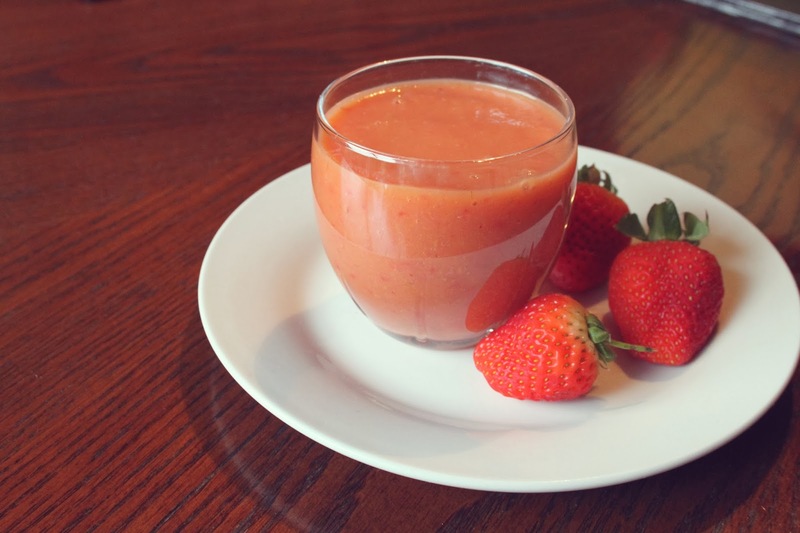 Do you have any suggestions for my smoothie recipes over the next few days? I’d love to hear your suggestions! everything looks so good, its making me hungry! especially the banana caramel latte smoothie! Mmmmm I'm now really craving pancakes!! I love Alpro, I'm not a big fan of milk anyway and find anything other than skimmed way too creamy tasting. So it's very handy having Alpro as an option and I love that I can get almond or coconut too!